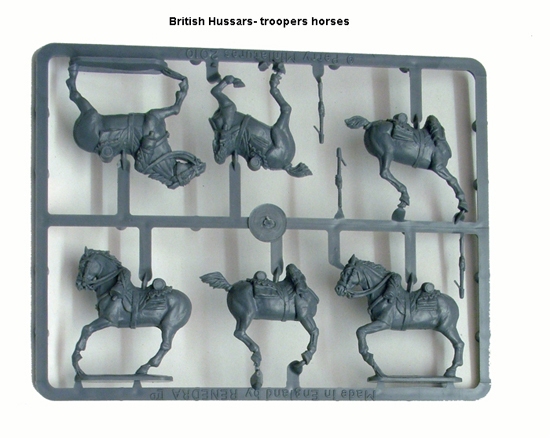 As well as British hussars these can also be used as Kings German Legion and Hanoverian Hussars. 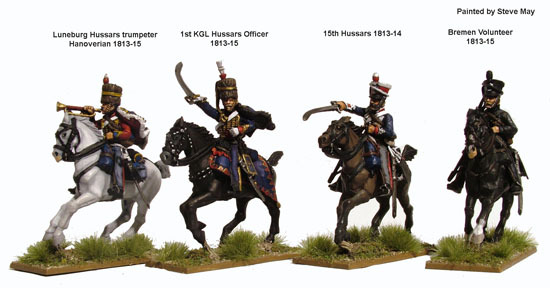 There five variants of head gear for each hussar figure which allows you to use them from the beginning of the Peninsular War to and including the Waterloo campaign. 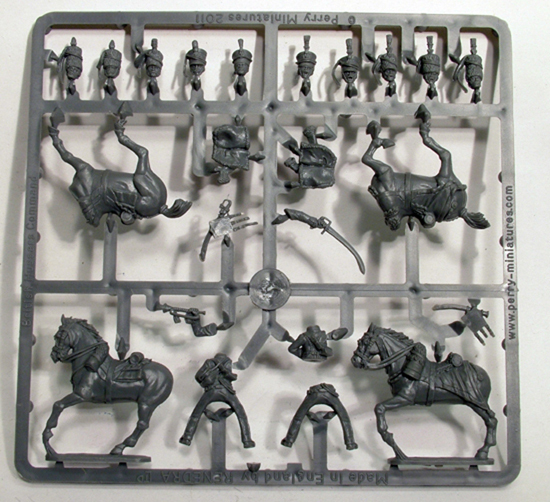 All figures (except the trumpeter) have two arm variants, shouldered sword and at the charge. They are represented in campaign dress, with the pelisses separate which can be left off if depicting them in hot climates. Box contains. 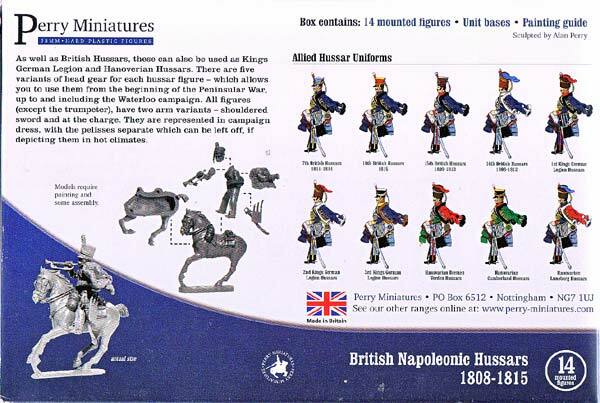 14 mounted figures. 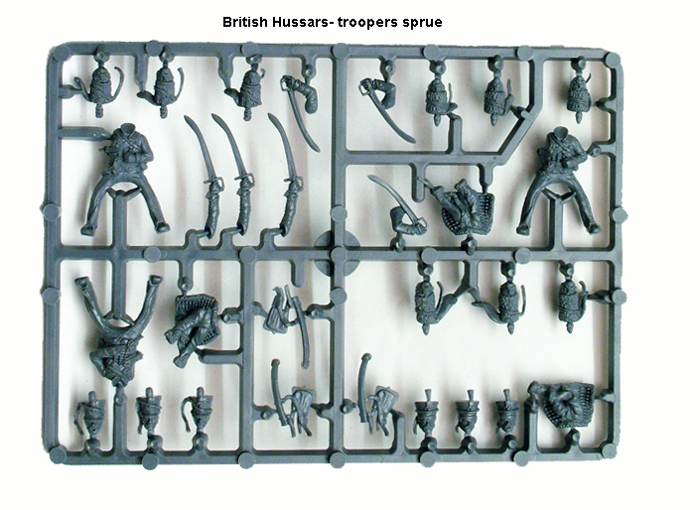 Unit bases. 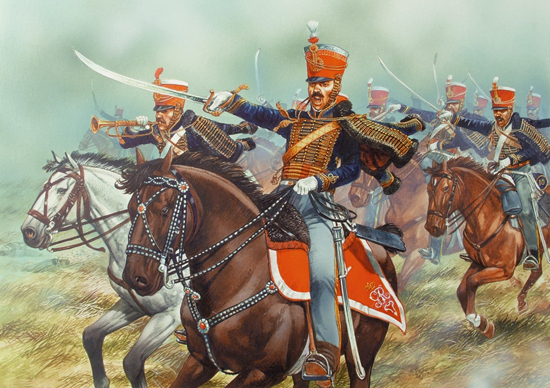 Painting guide.